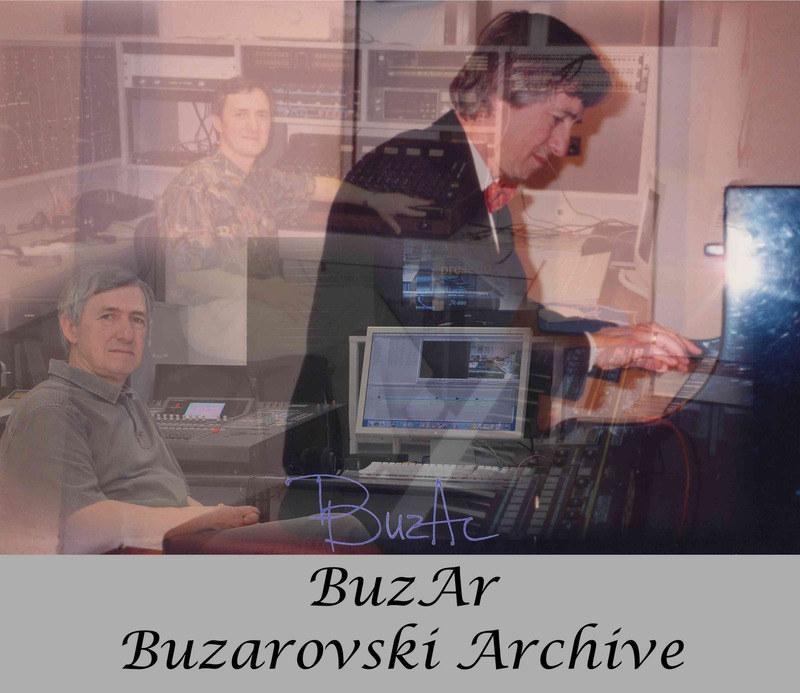 BuzAr (Buzarovski Archive) is a digital collection of video, audio, photos, books, papers, scores and other artifacts related to Balkan cultures and traditions. The collection is based on Dimitrije Buzarovski's musical scores, performances, video and audio recordings, digitised cultural heritage, and musicological and ethnomusicological works. Artifacts on BuzAr are for non-commercial, educational, or research purposes. Users of these artifacts agree to cite Buzarovski Archive. Despite the numerous writings about the first generation of Macedonian composers, we decided to design a pilot project based on a meticulous review for missing or contradictory data. We revisited the data about four Macedonian composers who played a crucial role in the establishment of the contemporary Macedonian music culture: Stefan Gajdov, Zhivko Firfov, Trajko Prokopiev and Todor Skalovski. The historical analysis of contemporary Macedonian music is usually focused on the works and the activities of Macedonian composers. If we compare the quantity of the written materials regarding all aspects of contemporary Macedonian music culture, the majority of papers will be primarily devoted to the life and the works of Macedonian composers. In this sense, five composers who were among the first to initiate the modern history of Macedonian music have very distinguished positions: Stefan Gajdov (1905, Veles – 1992, Ohrid), Zhivko Firfov (1906, Veles – 1984, Skopje), Trajko Prokopiev (1909, Kumanovo – 1979, Belgrade), Todor Skalovski (1909, Tetovo – 2004, Skopje), and Petre Bogdanov-Kochko (1913, Skopje – 1988, Skopje). Not only are there numerous articles, essays, and TV documentaries, but for three of them (Prokopiev, Skalovski and Kochko) there are also monographs (Kostadinovski 1983; Kitan Ivanovska, Skalovski and Manchev 2003; Nikolovski, ed. 2002) describing in detail their activities and the events in their lives. One can expect such an outcome, bearing in mind that they were the crucial actors in the period that marked the transition of Macedonian music culture from an oriental to an occidental type, particularly after the end of World War Two and the establishment of the Republic of Macedonia. All modern “westernized” music institutions are connected to their names and their activities, and sometimes they were compared to the Russian “petorka”, alluding to their role in the establishment of the Macedonian music idiom. The existing papers give the impression that there is sufficient written musicological material about this subject. Nevertheless, we decided to revisit and check the influence of ideological, political and other factors which could have contributed in misinterpretation of the events from the past. This was the main incentive to launch a pilot research regarding Macedonian music culture during the World War Two period, presented in the paper of Dimitrije Buzarovski and Trena Jordanoska (this edition). We also expected that the time distance, despite the fact that participants are deceased and the artifacts no longer exist, particularly those of the pre-digital era, has a very important and serious advantage ­– raised level of objectivity in the understanding and the explanation of the events. Once again, we would like to emphasize that there are no doubts that these five composers, who were also choral and orchestral conductors (Stefan Gajdov, Todor Skalovski and Trajko Prokopiev), singers (Petre Bogdanov-Kochko) and ethnomusicologists (Zhivko Firfov), played a crucial and pivotal role in the establishment of the Macedonian contemporary music culture idiom. This paper does not intend to reverse or re-evaluate the explanation and understanding of the contemporary history of Macedonian music. The history of Macedonian music in the second half of the 20th century is an exceptional example not only for the oriental-occidental transformation, but also for a skyrocketing development which brought fully home-educated musicians such as Simon Trpcheski, who at the moment holds performances on worldly-renowned stages. – finally, “the sixth” sonata by Panche Peshev, implicates that the other five are missing (see ibid. : 56). – that both Firfov and Peshev were taking private lessons from Yury Arbatsky (Karakash 1970: 28, 55; Ortakov 1982: 77; Burnazovski & Trajkovski 1984: 10–14, 97), but when, how often, how long and what the content of the lessons was, remains unclear. The theoretical responsibility was the main criterion behind the revisited subject of the activities of the Macedonian composers during World War Two. Also, we would like to emphasize that this paper is complementary to the paper by Buzarovski & Jordanoska (this edition) that determines the methodological assumptions and wholly reviews the culture through the results of the pilot research. In addition, we had in mind that the data presented in the previous papers, are often based on the interviews with the composers or the members of their families, and there are rare copies of the original documents that would confirm their authenticity. While focusing on activity of the composers, we decided to organize the accessible artifacts in accordance with the three different periods which characterize the World War Two time span: 1939–1941, 1941–44, and 1944–45. This entirely corresponds to the changes of the suffixes or even the entire family names from “ić”, to “ov” and (for Skalovski to) “ski”. For instance, until 1941 we find the following names: Stevan M. Gajdović (Zorikj 2007: 40), Todor Nastić for Todor Skalovski (Kitan Ivanovska 2003: 32), Trajko Prokopijević (Kostadinovski 1983: 25, 28) and Zhivko Firfović (according to the change of the surname of his wife, see Pavlovska-Shulajkovska 2009: 12). We also decided that our paper will review the activities of only four composers of the group, as Petre Bogdanov-Kochko, started his compositional activities later, i.e. at the end and after World War Two (see Nikolovski, ed. 2002). The first period was in continuity with the previous period, where the group acquired their music education in the Belgrade Music School (Muzichka shkola u Beogradu), which after World War Two took the name of its founder Stevan Mokranjac (Marinković 2007: 631). Still, despite the numerous papers about the education of the group, the data should be thoroughly checked as the only copy of the diploma is the one printed in the Kostadinovski’s monograph about Trajko Prokopiev (1983: 22). There are no doubts that they completed the school – the missing or contradictory data are related to their enrollment, graduation and the classes they attended (or what they majored in). There is evidence, and consequently, a common agreement that the emphasis of the compositional activities of the whole group is in the choral area. There are two major reasons for this outcome: the compositional skills of the group and the overwhelming presence of the vocal i.e. the choral practice in the whole region during the pre World War Two period (Buzarovski & Jordanoska this edition). This does not undermine the achievements of the group, as their compositions have been present in the international repertoire until present times (for example, see the data about the most frequently performed works at the International Choir Festival in Nish, where one can find the works of Skalovski and Prokopiev, Kostić 2010: 60, 62, 63, 94). It is obvious that at that stage of the development of the Macedonian music culture, one cannot expect complex compositional works in a formal, orchestral and stylistic sense. This will be achieved with the appearance of the first generation of Macedonian composers who passed through full higher education training in Belgrade, Zagreb and Ljubljana in the late 1950s and the 1960s, such as Kiril Makedonski, Vlastimir Nikolovski, Toma Proshev and Tomislav Zografski. Usually the most documented part of the activities of these composers are the catalogs with the titles of their compositions. Among the latest research in the area is the dissertation “Digital Catalog of Macedonian Choral Works” by Ivica Zorikj (2007), which is based on the largest collection of such compositions at the moment. The catalog fully confirms our previous thesis that the accent of their opus was on the choral practice. Bearing in mind that we were interested only in the specified period of 1939–1945, we were immediately confronted with the problem of the exact year of creation, particularly as some of the compositions might have been published, performed or rewritten later. During 1939–1941, most of the existing data refers to the choral works by Stefan Gajdov – ten compositions for mixed choir, two for male choir and five for female choir (Kolovski 1993: 88, 89). The other composers are much less presented, or hypothetically, less creative in the period. This is particularly evident in Zhivko Firfov’s works where there are almost no data. The opus of Trajko Prokopiev includes two mixed choir compositions, one for male choir and, a piece Pastorala for flute, harp and violin with inconsistent data about the ensemble(s) and year of creation (see Kostadinovski 1983: 204–208, 315). The list of Todor Skalovski’s works from the same period includes two lost compositions, Uchi Karaj and Rudari (Skalovski 2003: 198), four compositions for mixed choir, and one for female choir. In the same period, 1939–1941, and particularly in 1941, all of these composers were abroad: Stefan Gajdov was a music teacher at the Vukovar High School (Todorchevska 2004b: 34); Zhivko Firfov was a teacher and leader of the orchestra at the Zemun Center for the blind and visually-impaired, and a conductor of the Zemun Choral Society (Karakash 1970: 27, 28); Todor Skalovski was a high school teacher in Sremska Mitrovica and a conductor of the Citizens’ Choir (Kitan Ivanovska 2003: 37, 38; Skalovski 2003: 190); while Trajko Prokopiev was conductor of the choral society Sloga in Sarajevo and a part-time teacher at the Serbian Orthodox Church School (Kostadinovski 1983: 38). At the start of the war they all returned to Macedonia. Although we cannot say that the exact data of return are of a special musicological importance, we found some discrepancies such as in Kitan Ivanovska’s quote that “… as a supporter of the Yugoslav Communist Party, with a decision of the Croatian Ustasha on the April 6, he [Todor Skalovski] was exiled with his family to Macedonia...” (2003: 38). Such data should be corrected bearing in mind that April 6, 1941 was the first day of the German attack on Yugoslavia. Again there are no data about Zhivko Firfov, while Todor Skalovski was a teacher at the Bitola High School. Trajko Prokopiev was also a teacher in the Second All-Boys High School where we worked with a choir and an orchestra which performed some of his compositions (Kostadinovski 1983: 40). We were particularly careful when reviewing the data of this period, bearing in mind the ideological and political pressure during the following socialist period. All of the extant biographies emphasize that Skalovski, Prokopiev and Gajdov (as well as Bogdanov-Kochko) were included in the resistance against the German and Bulgarian occupation, and that choral practice was the undercover means for these activities. Consequently, Skalovski formed the Macedonia male choir in 1942 in Skopje (Skalovski 2003: 156), “as a cover for the activities of the partisans“ and the members later on became members of the Second Skopje Partisan Detachment (Kitan Ivanovska 2003: 39). Later, “under the directions of the Party” he moves to Bitola where his house is “the headquarter for the resistance of the entire Bitola region” (ibid.). “In Bitola, also the choir is the ideal form for action and propaganda and sending the ‘singers’ to the partisan detachments” (Skalovski 2010: 71). Similar activities were noted by Prokopiev, who states that he, as a sympathizer of the resistance, supported the activities of the “progressive youths” through the organization of music events, which were used for undercover meetings (Kostadinovski 1983: 40). He also helped keep their meetings undercover through additional music lessons and organization of weekend choir concerts in the Sv. Gjorgji Church in the Chayr neighborhood where one of the communist party cells was working (ibid.). This obviously contradicts the previously quoted data about the opening of the Music School with Stefan Gajdov as its principal in 1943. Moreover, Todorchevska writes that “…the Bulgarian fascists appointed Petre Bogdanov-Kochko as a principal of the ‘Boris Drangov’ Music High School from November 4, 1941 to April 1, 1942” (2004a: 42). At the same time Gajdov was a conductor of the Brakja Miladinovi male church choir in the Sv. Dimitrija Church in Skopje until 1945, which in accordance to the article by Todorchevska, was “used as a link between the soldiers sent to partisan detachments” (2004b: 34). Parallel with this information, in the newspaper Celokupna B’lgarija we found an article reporting that “yesterday (August 5) in the hall of the First All-Boys High School the new choir Brakja Miladinovi was established” where the members were mainly coming from the former Sv. Dimitrija church choir (Celokupna B’lgarija 1942, no. 352: 2). As we have already emphasized, this is also only a pilot research into the area regarding a larger project for cleaning the inconsistencies in the existing data that arise particularly from political and ideological reasons. We assumed that the political pressure might have resulted in the exaggeration related to the progressive roles of the individuals. This also refers to the use of the choirs as a center for the resistance movement, as there are parallel data, which show that the choirs were equally used for propaganda activities from the Bulgarian side, as well (see Buzarovski & Jordanoska this edition). For example, immediately after the Bulgarian occupation of Macedonia in 1941, the Boris Drangov choir was formed from the former members of the choirs Vardar and Mokranjac, and at first, the conductors were Todor Skalovski and Asparuh Hadzinikolov. Later on, Trajko Prokopiev was appointed as conductor of the same choir, while Petre Bogdanov-Kocko was a piano accompanist (Kostadinovski 1983: 40). The next choir which was frequently mentioned in the articles of Celokupna B’lgarija reviewed in our pilot research, is Georgi Sugarev with the conductor Todor Skalovski. The pilot research points out that there is written and photo material about both choirs, particularly evident in the concert of Georgi Sugarev in Zala B’lgarija in Sofia with the conductor Todor Skalovski on July 16, 1942 (Celokupna B’lgarija 1942, no. 325: 4; no. 339: 2). As we have mentioned earlier, there are only few data about their activities as composers in this period. There are only two choral pieces by Gajdov, written in 1942, Gora i junak for female choir with several confusing years of creation – 1941, or 1942 (Kolovski 1993: 89), or even 1932, (Todorchevska 2004b: 34) and Rumba, rumba se sobrale, also for female choir (1942) (Kolovski 1993: 89). Again there are no data about Zhivko Firfov. This only confirms the need for a larger study of Zhivko Firfov’s life and particularly his ethnomusicological work, as there are no doubts about his contribution to the establishment of Macedonian ethnomusicology, and particularly the preservation of Macedonian music folklore. But we should not undermine his compositional activities which are also confirmed by the article “Makedonskata pesen” (“The Macedonian song”) where one can find a list of the Macedonian composers: Firfov, Gajdov and Prokopiev (Celokupna B’lgarija 1942, no. 355: 4). According to the list of works by Trajko Prokopiev (Kostadinovski 1983: 314), he finished the choral work Kumanovka IV (ibid. : 99) and wrote only the music for the play Pechalbari by Anton Panov (1942) which was performed the same year (Celokupna B’lgarija 1942, no. 393: 2). We found very often the name of Trajko Prokopiev in the Radio Skopje program for children Chas za Deteto, where he conducts the group Detska pesen (for example, ibid. no. 353: 2). 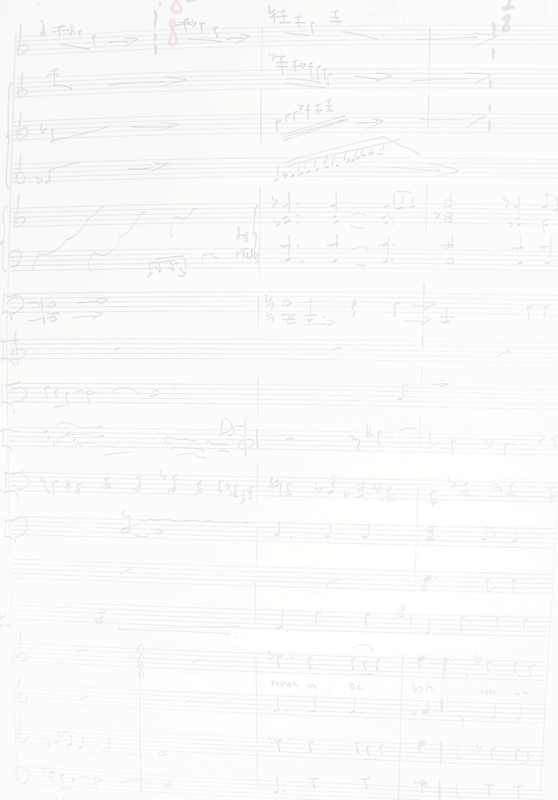 We have more data about Skalovski’s choral compositions, mostly for mixed choir: Goce (as first part of the Ilinden trilogy) (1941–44), Rhapsody 1 (1941–44), Ilinden Ballad, The Song of Gjorgji Sugare [sic] (as second part of the Ilinden trilogy) (1942), Prijdite poklonimsja (1942) and Makedonsko oro (1943–44) (also with a version for a female choir) (Skalovski 2003: 199). Another list of works by Todor Skalovski from 1942 includes an additional three choral compositions: Dobro utro lichno mome, Tuljo and Tumbe kafe (Kolovski 1993: 198). In the monograph about Skalovski, Kitan Ivanovska quotes Ivan Kamburov who pronounced Skalovski’s composition Macedonian Humoresque (written in 1938–1939) performed during the concert of Georgi Sugarev in Sofia in 1942, as “ the most humorous song in Bulgarian literature” (2003: 39). As we said, there are other data which need further clarification, such as the performance of Makedonsko oro for female choir in 1943 at “the National theater in Skopje, where all the communist youth [SKOJ] was present and rewarded the composition with a long applause” (ibid. : 43). Probably Skalovski refers to his choral composition 11 Oktomvri which is registered in the Zorikj’s catalog (2007: 75), while in accordance to the list of works in the same monograph, the cantata 11 Oktomvri is written in 1946 (Skalovski 2003: 202). In Gorno Vranovci, Mlad borec published a small collection with arrangements of the popular resistance songs under the title Mladinski poj, with lyrics by Venko Markovski, Kole Chashule and Aco Shopov, edited by Todor Skalovski (Nikolovski 1986: 96; Kitan Ivanovska 2003: 41; Skalovski 2003: 201). In the data given by Todor Skalovski, he states that he made the arrangements of A bre, Makedonche, Aj shto mi e milo, em drago mlada partizanka da stanam, Vo borba, Od Makedonija glas se slusha, Ne odred, a vojska sme nie, Zora zori and So chest i gordost (Kitan Ivanovska 2003: 44) and the compositions Titovi sme pioneri, March of the Macedonian youth, March of the Yugoslavian youth, Ognot (ibid. : 43). One can also find a list of twelve other choral compositions written by Skalovski in this period (Kolovski 1993: 198; Skalovski 2003: 199, 201; Zorikj 2007: 75). There are other controversial data about the transcription and the arrangement of the Macedonian national anthem Denes nad Makedonija given by Skalovski himself (Kitan Ivanovska 2003: 43, 44). The question of the Macedonian anthem needs further meticulous research, particularlly regarding the origin of the melody and the date of its introduction. As concerns Trajko Prokopiev, after the liberation of Skopje (November 13, 1944) he formed the Military Choir of the National Liberation War Headquarters in Macedonia from the soldiers of the battalions in Skopje. The first performance was at the reception of the ASNOM delegates where together with the choir from the All-Girls High School they performed partisan and patriotic songs (Kostadinovski 1983: 42). The choir grew up to 80 members and had its rehearsals “in the former French school and later in the Music High School” (ibid.). Prokopiev performed with this choir throughout Macedonia and Serbia and later on at the Srem front. This choir premiered his compositions Karposh (written in 1944, performed 1945) and Dena (written 1940–1941, performed 1945) (ibid. : 42, 43). Kostadinovski (ibid. : 313, 314) also lists the compositions Vardare for voice and piano (1944–45), Rosa for female choir (1945), Pesna za sturceto for children choir (1945) and again the music for the play Pechalbari (1945). There are very rare data about Gajdov’s activity. His name is mentioned in the newspaper Nova Makedonija (November 30, 1944) as a choral conductor performing the anthems Hej Sloveni and Izgrej zora (cited in Izgrej zora… 2012). His name is also quoted regarding the concert on December 9, 1944 at the celebration of Sv. Kliment day by the new Ministry of Education formed by ASNOM: “during the music part, Stefan Gajdov and the choir from the All-Girls High School performed his choral compositions Lele Jano, Shto mi e milo em drago and Se zapali odajcheto Treno, odajcheto” (Nova Makedonija, December 12, 1944 cited in Todorchevska 2004b: 35). This is best proof that this choir, which we have already met in the previous period, continued with its activities. During our period of observation (World War Two) there were several other Macedonian musicians active as composers. Among them the most quoted name is Panche Peshev (1915, Veles – 1944, Kushkuli, Plachkovica), who was active in the Yugoslav Communist Party before the war, participating directly in the resistance against the German and Bulgarian occupation, was imprisoned in 1942, narrowly escaped execution and tragically died in combat in 1944. He was one of the first students at the Music School in Skopje in 1934, but he left the school (Burnazovski & Trajkovski 1984: 14, 15). There are numerous quotations that he took private lessons in composition with Josip Slavenski and Arbatsky and was the author of one of the first revolutionary songs Klasje zeleno in 1936 (ibid. : 13, 14, 29). Unfortunately the only accessible composition by Panche Peshev is the March of the III Macedonian liberation brigade (1944), with lyrics by Aco Shopov (ibid. : 115–118). Taki Hrisik (1920, Krushevo – 1983, Skopje) is undoubtedly the composer that deserves to be included in the review of the period. Among the very rare data about his works and his life, we find that he was taking music lessons with the Austrian composer and conductor Albert Hrasche (Kolovski 1993: 229) who worked in Krushevo and Prilep in the 1930s (Dzimrevski 2005: 238). Karakash (1970: 61); that he was a participant in the resistance against the occupation of Macedonia; that in 1941 he translated the words from L'Internationale into the Vlach language, and he wrote the songs Na noze, Krevajte se rabotnici and Partizani. Kolovski’s list (1983: 230) of Hrisik compositions includes: Rabotnichki marsh (1940), Partizanski marsh (1942), Partizanska himna (1944) and Svechena pesna za brakata Kiril i Metodij (1945). Among his works, surprisingly, there are two orchestral pieces: Vo mrakot – a phantasy for orchestra, written in 1943, and Razdelba – suite for orchestra, written in 1944 (Karakash 1970: 62; Kolovski 1983: 229). One can be sure that Taki Hrisik focused on writing the so-called mass songs, evident through the award received at the anonymous competition of the Association of Composers in Yugoslavia for a Yugoslav anthem in 1969, for his composition Svechena pesna (Karakash 1970: 61; Kolovski 1993: 229). We would also like to mention Asparuh Hadzinikolov (1909, Skopje – 1980, Skopje) whose music education is unclear. The existing data point out that he was enrolled in a high school in Leipzig (Karakash 1970: 36; Kolovski 1993: 226) and returned to Belgrade “when Hitler took the power in Germany in 1933” and, in the same year he finished the Music School in 1934 (Kolovski 1993: 226). From 1934 he became a music teacher in different cities in Serbia and in Skopje where he also worked as choral conductor. An additional study of his compositional activities should be undertaken as thirteen choral compositions are listed in Zorikj’s catalog (2007: 23). The complete survey of the compositional activities in the period cannot avoid the discussion about the group of amateur composers who created the repertoire of the partisan songs (see for example Ortakov 1977: 13, 14; Nikolovski 1986: 96). Among them is Kiro Gligorov (the first president of the independent Republic of Macedonia) with his composition Lenka, and Vlado Maleski as the author of the Macedonian anthem Denes nad Makedonija. Despite the numerous references in different papers, we assume that these data should be revisited and reviewed, too. In conclusion, we accept the opinion that revisiting events from the music history can always contribute to better understanding of the music of the past, as well as bring enlightenment from a more objective and realistic perspective. The pilot research about the activities of the Macedonian composers during World War Two confirmed the need for careful and meticulous review of all existing written data and artifacts in order to avoid copying of statements not based on solid facts. Raising the level of criticism aids in the location of missing or contradictory data, and particularly misinterpretations which could be a result of the biased political, ideological, cultural or ethnic attitudes. The review of the activities of the four composers who are considered as founders of contemporary Macedonian music culture, Stefan Gajdov, Zhivko Firfov, Trajko Prokopiev and Todor Skalovski, confirmed the continuity of their pre and post World War Two activities and their crucial role in Macedonian music life and culture. Also the pilot research proved the need for an extensive project that includes other composers such as Panche Peshev, Taki Hrisik and Asparuh Hadzinikolov. Arbatsky, Yury: Beating the Tupan in the Central Balkans, The Newberry Library, Chicago Illinois 1953. Burnazovski, Boris & Branislav Trajkovski: Panche Peshev revolucioner i muzichar. Uchilishte za osnovno obrazovanie “Panche Peshev” – Kumanovo 1984. Dzimrevski, Borivoje: Gradska instrumentalna muzichka tradicija vo Makedonija 1900–1941. Institut za folklor “Marko Cepenkov” – Skopje 2005. Izgrej zora na slobodata. Wikipedia, http://mk.wikipedia.org/wiki/Изгреј_зора_на_слободата, February 26, 2012. Karakash, Branko: Muzichkite tvorci vo Makedonija. Makedonska kniga, Skopje 1970. Kitan Ivanovska, Margarita: Zhivoten i tvorechki letopis. In: Todor Skalovski: zhivotot i deloto. MANU, Fondacija Trifun Kostovski, Skopje 2003, 11–86. Kitan Ivanovska, Margarita, Denko Skalovski & Tome Manchev: Todor Skalovski: zhivotot i deloto. MANU, Fondacija Trifun Kostovski, Skopje 2003. Kolovski, Marko: Sojuz na kompozitorite na Makedonija 1947–1992 – Makedonski kompozitori i muzikolozi. Sojuz na kompozitorite na Makedonija, Skopje 1993. Kostadinovski, Kostadin: Trajko Prokopiev – zhivot i delo. Makedonski naroden teatar, Skopje 1983. Kostić, Suzana: Partiture – ogledalo Horskih svecanosti. Nishki kulturni centar 2010. Marinković, Sonja: Muzichko shkolstvo. In: Istorija srpske muzike: srpska muzika i evropsko muzichko nasledje. Zavod za udzbenike, Beograd 2007, 627–638. Nikolovski, Janko (ed. ): Petre Bogdanov-Kochko – eden znachaen zhivot. Pavlina Apostolova Bogdanova (privatno izdanie), Skopje 2002. Nikolovski, Vlastimir: Muziciranjeto i angazhiranata tvorechka muzichka misla za vreme na NOB vo Vardarska Makedonija. In: Makedonska muzika 6, Strushka muzichka esen, Skopje 1986, 93–97. Ortakov, Dragoslav: Makedonskata revolucionerna pesna od periodot na NOV. In: Makedonska muzika 1, Strushka muzichka esen, Skopje 1977, 7–15. Ortakov, Dragoslav: Muzichkata umetnost vo Makedonija. Makedonska revija, Skopje 1982. Pavlovska-Shulajkovska, Mirjana: Danka Firfova: zhivot posveten na muzikata. Direkcija za kultura i umetnost, Skopje 2009. Skalovski, Denko. Reproduktivnoto tvoreshtvo na Todor Skalovski; prilozi. In: Todor Skalovski: zhivotot i deloto. MANU, Fondacija Trifun Kostovski, Skopje 2003, 153–183; 187–257. Skalovski, Denko. Sedum makedonski kompozitori: mala istoriska prolegomena za edna makedonska estetika. BIGOSS, Skopje 2010. Terzioski, Rastislav: Denacionalizatorskata dejnost na bugarskite kulturno-prosvetni institucii vo Makedonija (Skopska i Bitolska okupaciona oblast 1941–1944). Institut za nacionalna istorija, Skopje 1974. Todorchevska, Jelica: Petre Bogdanov-Kochko (1913–1998). In: Stardelov, Georgi, Dragoslav Ortakov & Dimitrije Buzarovski (eds. ), Muzikata na pochvata na Makedonija od Atanas Badev do denes, MANU, Skopje 2004a, 41–46. Todorchevska, Jelica: Stefan Gajdov (1905–1992). In: Stardelov, Georgi, Dragoslav Ortakov & Dimitrije Buzarovski (eds. ), Muzikata na pochvata na Makedonija od Atanas Badev do denes, MANU, Skopje 2004b, 33–39. Zorikj, Ivica: Digitalen katalog za makedonskoto horsko tvoreshtvo. Dissertation submited at UKIM FM Skopje as a partial fulfillment of the requirements of the degree Doctor of Musical Arts (Conducting) 2007.
which are part of this web site is a violation of applicable laws.